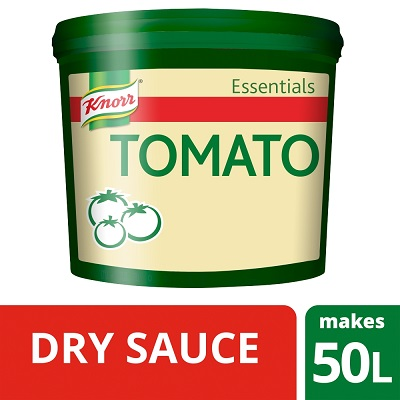 Tomato puree powder¹ (47%), maltodextrin, starch (potato, pea), sugar, salt, extra virgin olive oil, onion, flavourings, garlic, oregano, thyme, pepper. ¹made from sustainably grown tomatoes. 1) Add 140g of mix into 1 litre of warm water and whisk until dissolved. 2) Bring to boil and simmer for 5 minutes.